Today we are going to Provide you latest SSC JE Exam Pattern and Syllabus for Electrical Engineering, Study According to Syllabus to get Success on Upcoming SSC JE Exam. 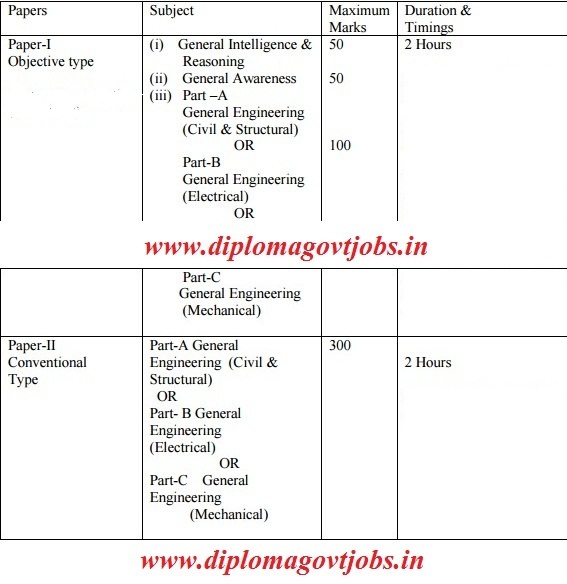 The candidates appearing for the post of Junior Engineer (Civil), Junior Engineer (Quantity Surveying & Contract) should attempt Part A (Civil & Structural) of Paper-I and Paper-II and the candidates appearing for the post of Junior Engineer (Electrical) should attempt Part-B (Electrical) and the candidates appearing for the post of Junior Engineer (Mechanical) should attempt Part C (Mechanical) of Paper-I and Paper-II failing which his/her answer sheet (Paper-II) will not be evaluated. Questions will be aimed at testing the candidate’s general awareness of the environment around him/her and its application to society. Questions will also be designed to test knowledge of current events and of such matters of everyday observations and experience in their scientific aspect as may be expected of any educated person. The test will also include questions relating to India and its neighboring countries especially pertaining to History, Culture, Geography, Economic Scene, General Polity and Scientific Research, etc. These questions will be such that they do not require a special study of any discipline.